A gentle after-sun milk that gives an immediate and pleasant sensation of freshness over the whole body, after an intensive day by the sea. 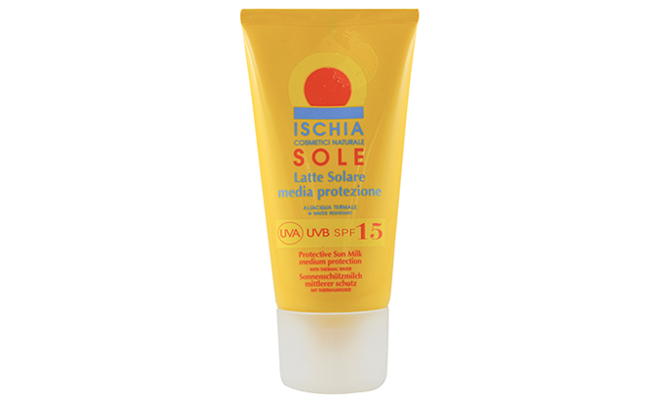 Thanks to its innovative formulation and the use of sunscreens with protection 6, 15, 30, it protects the skin from the aggression of the sun's rays, allowing a sweet and uniform tan, leaving the skin soft, velvety and maintaining its natural hydration. The products studied in the three different protections are suitable for all skin types, from the clearest and most delicate ones, in need of greater protection, to the darker ones. It is advisable to use the product with the highest protection filter during the first days of sun exposure, in particular for more sensitive light and delicate skin. After the first suntanning the filter can be progressively reduced.